Two and a half hours with a two-year old. What do you picture? Crumbs, sticky hands, scattered toys? My morning didn’t include any of those, though I did fill a sippy cup with juice. 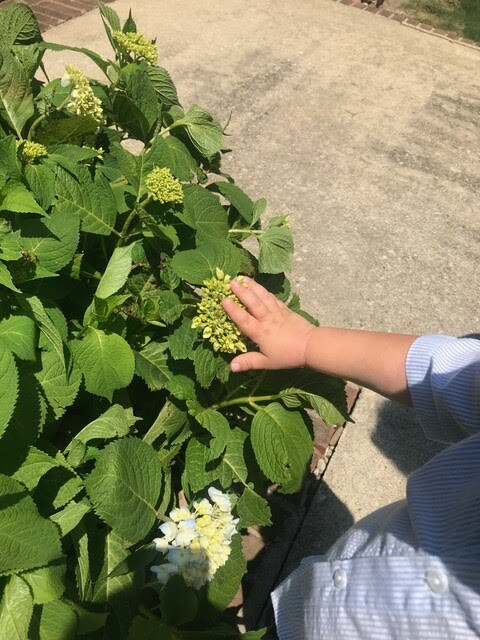 I planned a “Show and Tell” experience and walk through my yard to show and tell my grandson about my flowers. We walked to the next area and I waited. “White flowers. 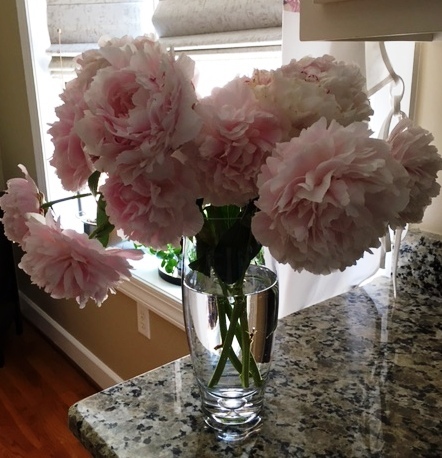 I took a pair of scissors with me and cut peonies. He held each flower for me as if they were gold. Weren’t they? Yes, with no prompt from me, out of his mouth and heart came, “Wow!”. His smile matched the words. I had plans that morning to show and tell, but my toddler grandson showed and told me. What adults often ignore, he saw as extravagance. What we see around us as common, he embraced as a treasure. Oh, that we would walk through our day, recall the gifts of God and take time to stop and say, “Wow!”. What about you? What treasures have you captured today? What a great reminder of how God wants us to relate to Him: simplicity, love, delight! Thanks for sharing your sweet morning. Thank you for sharing it with me, Carole. Seeing through the eyes of children never ceases to amaze me.